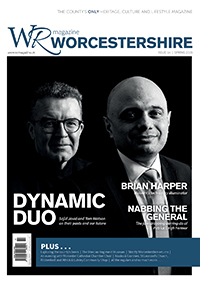 International Business Press Ltd is the publisher of WR magazine Worcestershire, which covers the heritage, culture and modernity of Worcestershire, thus reflecting the lifestyle choices of its countywide readership. Hereafter, the terms ‘we’, ‘us’, and ‘our’ should be taken to mean both International Business Press Ltd and WR magazine. This statement applies to anyone who visits our website from any application. Because we offer a subscription service to WR magazine Worcestershire, of necessity we maintain a subscriber address database. International Business Press Ltd is a controller of personal information in this case. However, this privacy statement does not necessarily apply to our subscribers, as their contact information is a voluntary component essential for the delivery of their copies of WR magazine. Cookies do not give us access to your computer or your personal information, other than the data you choose to share with us. Most browsers allow you to block all cookies. Blocking all cookies may have a negative impact upon the usability of many websites, including ours. We may occasionally change our policy. Please check this page occasionally to make sure you are conversant with such changes. We are committed to ensuring that your information is secure. To prevent unauthorised access or disclosure, we have utilised suitable encryption procedures to protect your information. Our website may contain links to other websites. However, if you use those links to access other sites, you should note that we do not have any control over those other websites. Accordingly, we cannot be held responsible for the protection and privacy of any information you provide while visiting those sites, and those sites are not governed by this privacy statement. You should always be careful to look at the privacy statement offered by those other websites. We do not, and will not, sell, distribute, lease or share your personal information with third parties unless we are compelled to do so by law. If your information is incorrect, upon notification we will immediately correct or remove it from our files, as appropriate.